My office has been crying out for a nice big wall mural ever since we converted it from a garage five years ago. In fact, just over a couple of months ago, I wrote a blog post on updating my office (with a little help from Harris). The project went well, but there was one thing I mentioned that would help finish off my office once and for all – and that was some artwork or a picture above the grey sofa. At the time of writing that post, I knew exactly what I wanted. In fact, I’ve known for a very long time, but the update was always put on the back burner – as these home improvement projects often are. However, when Wallsauce got in touch with me to see if I’d like my very own wall mural, the first thing I did was to check if they had what I had long been looking for. And they did! 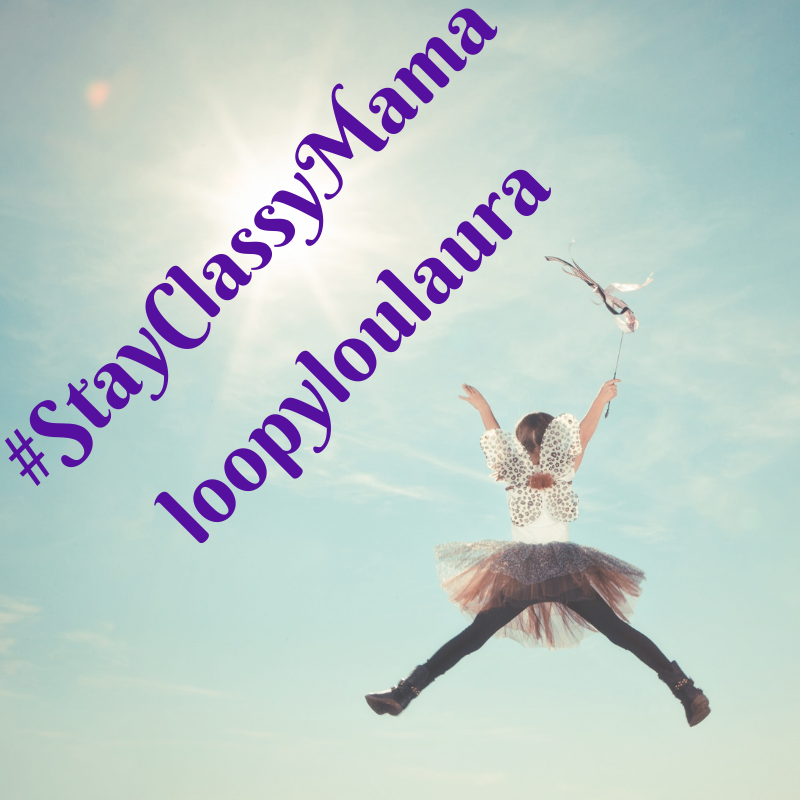 This was a sign – it was meant to be! 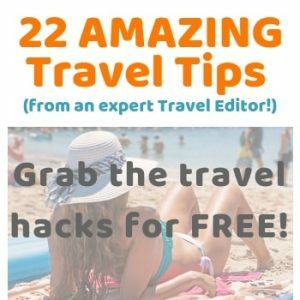 As many of you know I’m a huge travel fan – I’ve worked in the travel industry as a contracts administrator and I’ve reported on the travel industry as a journalist for the best part of 15 years, so it’s a given that I love exploring our big wide world. So when I discovered this unique world map wall mural a couple of years ago, I knew that I had to one day own it – and find a place for it in my home somewhere. It’s a map of the world, but instead of countries being outlined as you'd typically expect, the names of countries have been designed to look like a world map – so it’s a ‘Word World Map’! It’s very clever how it’s been done – and you’ll notice that the bigger the country geographically, the larger the font of the country’s name. Just look at Russia – it stands out a mile! I was so excited to put in my order for the Colourful Word Cloud Map, which costs £27 per square metre. 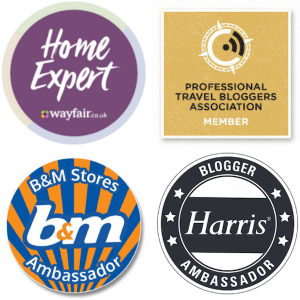 And here's a top tip – you can save 10% off your order if you sign up to Wallsauce’s newsletter. 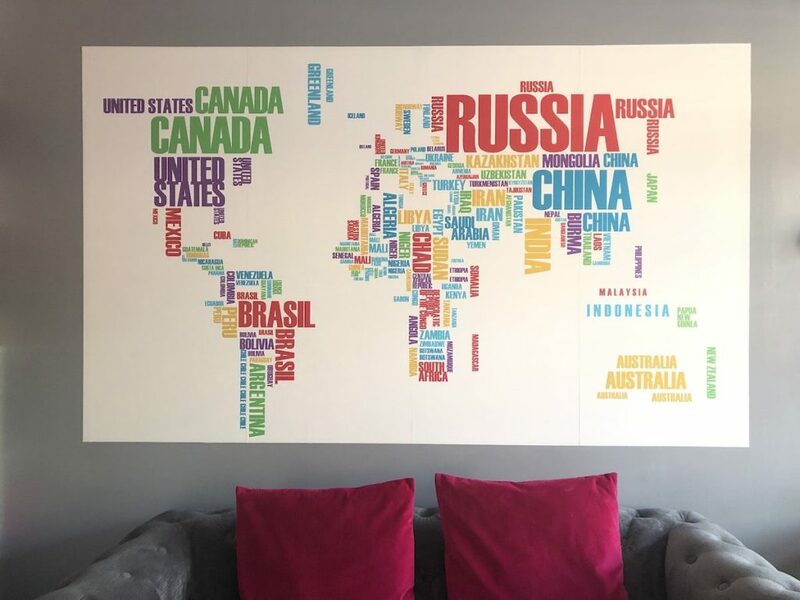 Now I could have opted for a huge wall mural that covered my whole wall, but given that I went for a world map, I would have lost South America behind my sofa and Australasia somewhere under my desk. As my walls were previously painted with silk paint, I used a primer on the area where I’d be putting the map. (you don’t need to do this if your walls are painted with matt paint). All orders from Wallsauce come with pasting powder, which you then mix with water before pasting the wall. This is one of the things I really liked – it’s hard enough pasting wallpaper, so to be able to paste the wall and then stick the paper to it meant that putting it up was made that much easier. Plus the paper is thick (unlike most wallpaper), which means that it doesn’t bubble or tear, so I felt quite confident installing it. The trickiest part for me was making sure the design was level and ensuring that the panels were all butted up together, so that the artwork was seamless – and looked like one huge poster. My particular world map wall mural design was made up of four panels. A much larger wall mural would have been trickier to install – and I probably would have enlisted the help of VIP. Ordering online is really straightforward; you measure the dimensions of your wall (or the area where you want your artwork to cover) and, following the steps given online, put the measurements into the system. It then works out how much it will cost – and you can see how many panels will be needed to complete the job. Delivery was super quick – I had my panels in my hand within a few days ready to put up. And what I really like about Wallsauce is that you can even upload your own image to use as a mural – now that’s pretty special! 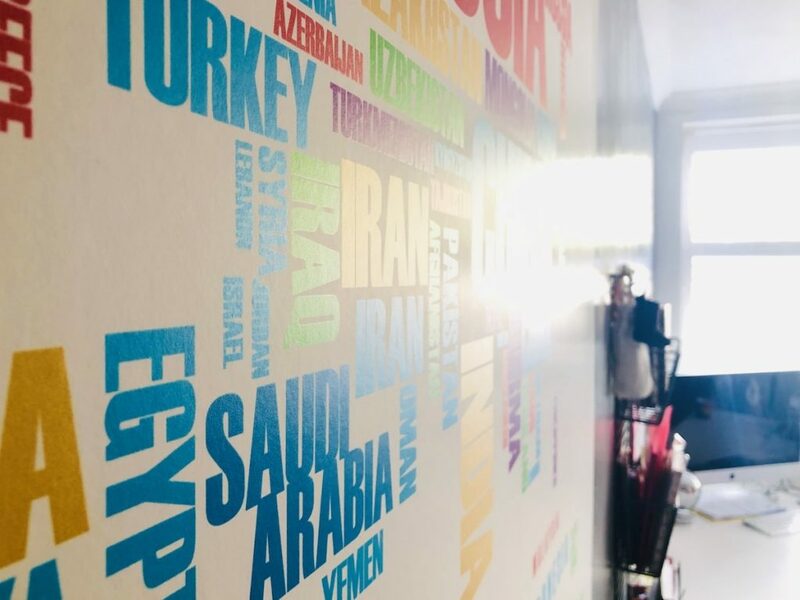 However, what I love most about my new word world map wall mural – apart from its ingenious and colourful design – is that it’s educational. I might have a good idea where most countries in the world are located, but my kids don’t. In fact, not long after it went up, my youngest and I were standing admiring it. “Look how many countries are in Africa” I pointed out to her. She looked at me a bit puzzled and I started to read them out. “But which country in Africa did you go to?” I asked her. And then the penny dropped. She (like many children) believed that Africa was a country, so I explained to her that it was a continent. And right there, we had a mini geography lesson and she has learned the difference between a country and a continent. And then I told her that even some children in secondary school still think that Africa is a country, which made her feel excited to know something that some older children still don’t get. So it was a win-win with my new wall mural; I got to brighten up my wall space and my kids improved their geography. Next week we’re learning all the countries in South America – and you know what? She’s really excited about it! Hopefully she’ll be this enthused when, one day, she follows in her parents’ footsteps and starts exploring this big wide world all on her own. *Disclaimer: I was given the Colourful Word Cloud Map in return for an honest opinion of the product. Waoo the map is really fascinating, my 6 six years old kid loved it. 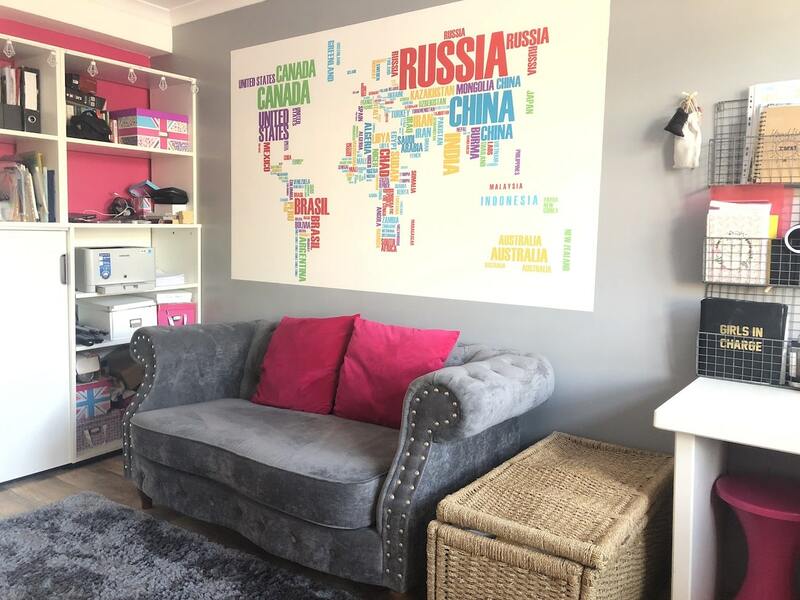 The world map mural looks great in your office, I love the splash of colour that it adds! Thanks Lynn – it does a great job in brightening up the space. And people always comment on how different it is. This looks fab! would be great in our office! Thanks Hollie – it’s certainly a wall brightener! It certainly is…we’ve moved on to learning about the Far East now! The kids will be great in their next geography lesson! Ah I bet he’d love it then – it’s great for boosting their general knowledge about the world. Ooo I love this map! SO different to all the other maps out there, I love unique things! Thanks Dena – yes, that’s what I love about it…the fact that it’s so different. You are a girl after my own heart! Thanks Michelle – it really livens up a space. I love mine! 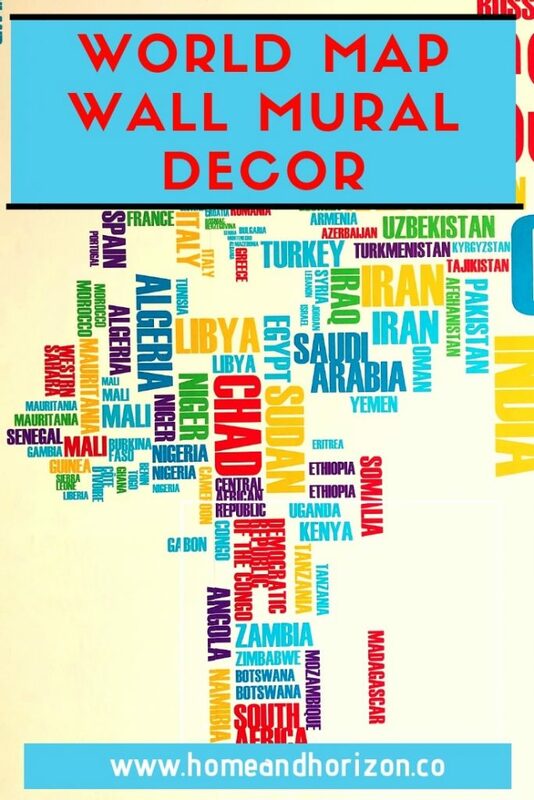 This world map mural would make a fab Christmas present for any travel lovers! Love the colours of it! It would certainly make a unique Crimbo pressie Eva wouldn’t it? Thanks for popping by! My Son would love this he is crazy on the World / maps would how it is nice and colourful too. Thanks Hannah – it’s a great one for kids too you’re right. And it would go with most colour schemes. This is gorgeous! I love how colourful this and its definitely easier to digest where countries are than a normal map. It’s lovely isn’t it? And easy to digest! 🙂 Thanks Charli! What a fantastic looking mural! A different take on a world map, I love it! Also, when I was younger, my geography wasnt great and I didn’t understand what continents were either! Thanks Sarah – the kids love it because it’s so colourful and they like it when I come up with games to test their knowledge!